Close to Barcelona in the Vallès Oriental, it is well connected with Europe and is also gateway to the Montseny and Montnegre and El Corredor Nature Reserves. Besides its natural environment, it is important for wool and linen weaving, a textile industry that arrived with the railway in the 1860s and developed in the late nineteenth and early twentieth centuries. Industry is still the main driver of the local economy. The forests of Montseny and Montnegre and El Corredor have extensive interconnected trails for walking or biking and this is the way to discover megaliths, dolmens, Romanesque chapels, hermitages, etc., there are even military buildings and fortified farmhouses. 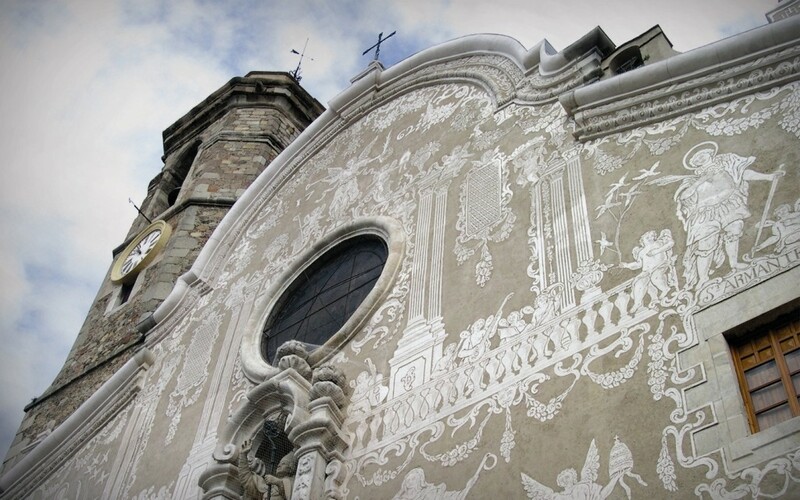 Closer to the centre, town tours search out the charms that Sant Celoni has to offer. Don’t miss the arcades, the Calle Mayor and the arcades of the Plaza, the neighborhood of the Força, the church of Sant Martí de Pertegàs, the Old Rectory and the Sant Pontius Chapel. 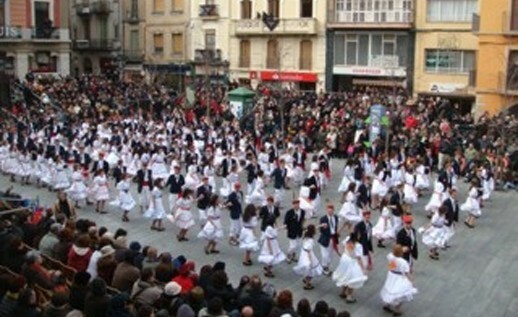 At Carnival the Ball de gitanes, a local folkdance is performed. It comes from agricultural rites to promote soil fertility and the onset of spring; Sant Jordi and the dragon of Vilardell is when the village is filled with stalls selling books and roses. The cuisine here is based on traditional cooking using game and haricot beans. Events are held to sample gastronomic delights in summer and autumn. Sweets are renowned here, nougat and celonins, made with cookie dough base, chocolate and almond. They represent the two mountains surrounding Sant Celoni: Montseny with white chocolate, and Montnegre with black chocolate. Not surprisingly, its proximity to the city of Barcelona has made the town a regular destination for nature lovers who also want to enjoy its rich cultural and architectural heritage. Therefore, the town has a wide range of facilities and accommodation. Sources: Information extracted from www.santceloni.cat and Wikipedia.